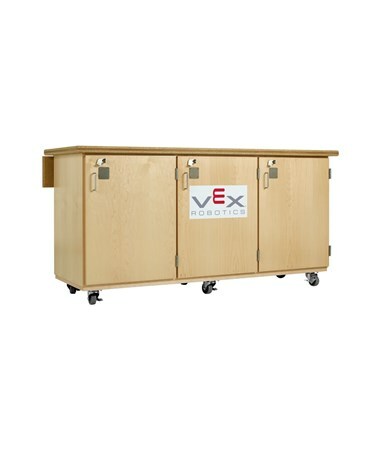 Featuring a robotic storage for the team the Diversified Woodcrafts Mobile Robotics Workbench Cabinet can accommodate three robots and supplies in three separate compartments. 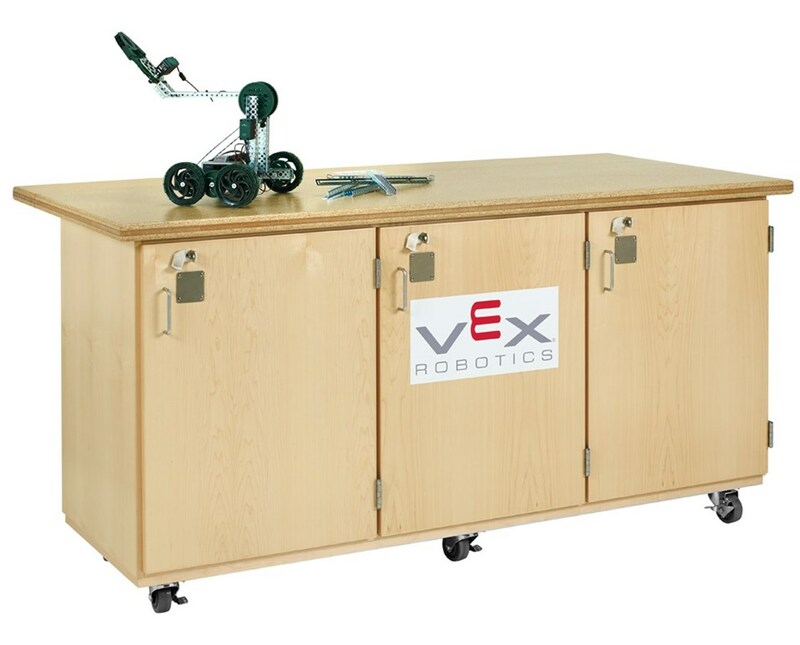 Each of the compartment consists of a roll-out shelf which can accommodate an 18-inch square robot and a drawer with customizable foam insert for storing tools. 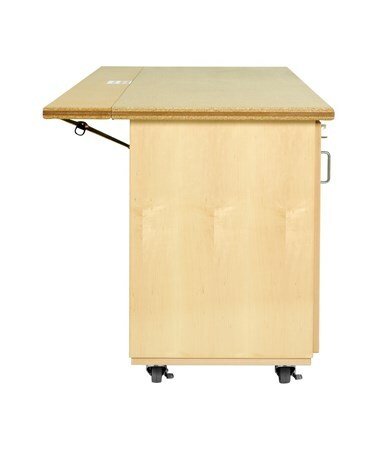 This cabinet is built with durable maple veneer plywood and coated with an earth-friendly UV finish to help prevent scratches and scuff marks. 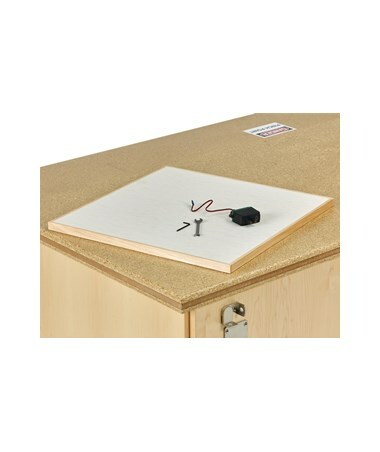 The top surface of the Diversified Woodcrafts Mobile Robotics Workbench Cabinet features a medium-density fiberboard inserted between two layers of 1/2 inches high-density particleboard to produce a non-conductive and splinter proof top. 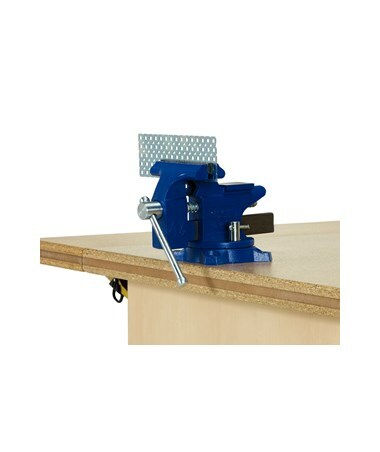 This 1/14 inch thick top includes an eight inches extendable surface, just simply raise and lock at the sides for additional work surface area. 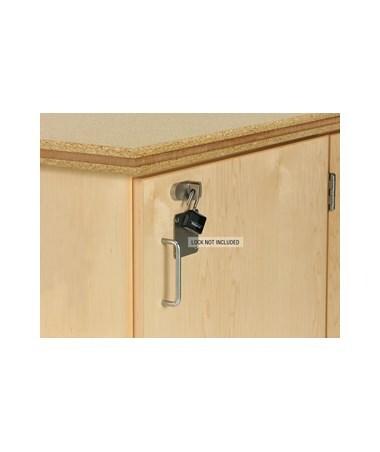 The doors for each compartment is equipped with a padlock hasp for security. 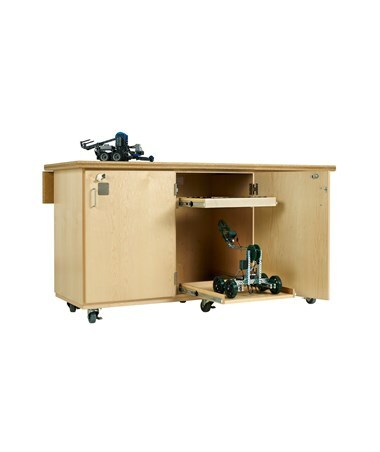 To make it easier to move around, the Diversified Woodcrafts Mobile Robotics Workbench Cabinet is fitted with four inches heavy-duty locking casters, each having a weight capacity of 350 lbs. 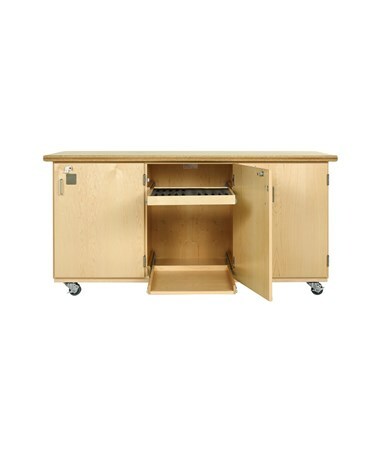 It has an overall measurement of 72”W x 28” D x 37”H. 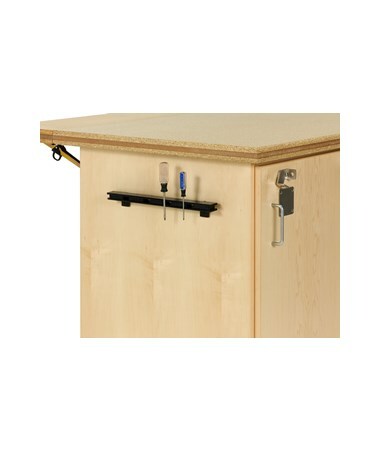 Optional accessories can be ordered separately for this cabinet such as soldering board, vise, magnetic tool holder, clamp mount outlet, and USB hub. 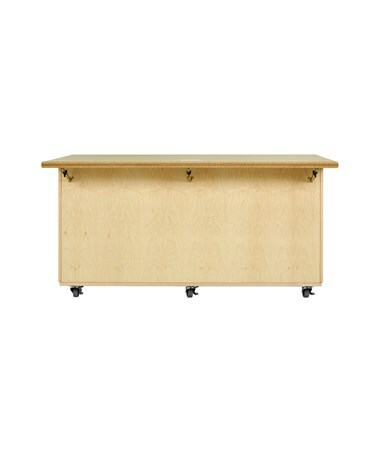 It is made in the U.S.A. and is SEFA compliant and MAS Certified Green. 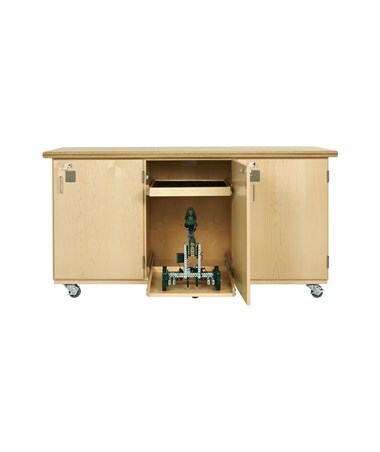 It also comes with a limited lifetime warranty. 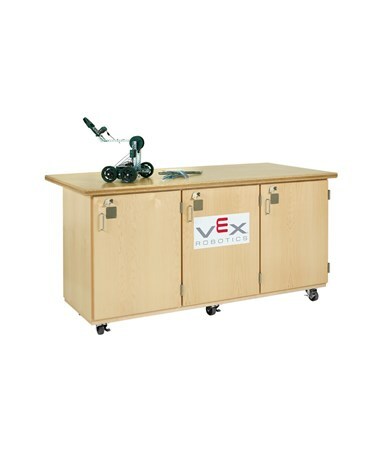 Note: Robots pictured are not included. 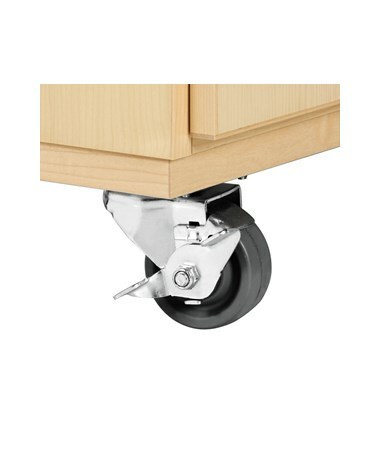 1/14" top extendable up to 8"